Remember getting the Scholastic book order sheets in school? Well, those colourful pages are about to get a whole lot more Indigenous. Remember getting the Scholastic book order forms in school? Well, those colourful pages are about to get a whole lot more Indigenous. Scholastic Canada is actively looking for submissions by Indigenous authors to broaden their catalogue and make more titles available to students and teachers. A callout is not typically how the book company handles an increase in demand for a certain type of book, but Scholastic Canada's vice-president of publishing, Diane Kerner, said the need was great. "Lately, we've been hearing so much from parents, kids and educators — that they're enthusiastic about Indigenous kids books," Kerner said. "We felt it was time to open the doors a little wider and invite some new creators in." For Jay Odjick, those doors have been open for a little while. He illustrated Bear for Breakfast, which was written with Robert Munsch and will hit shelves Feb. 11. This is his second project with Munsch — his first one was Blackflies — but Odjick said the doors are open for other creators now. 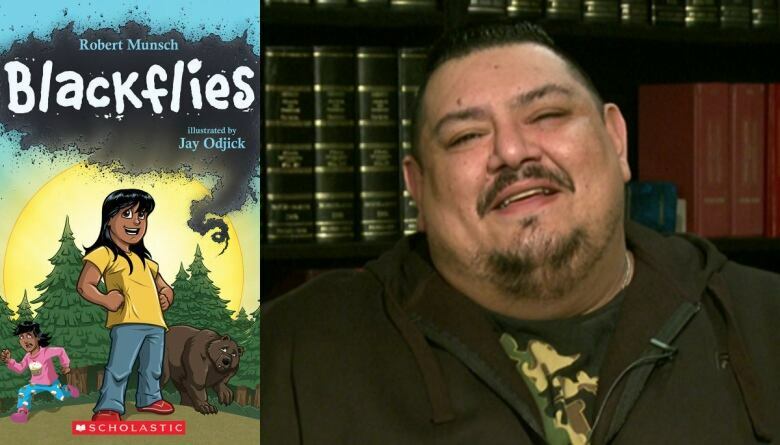 The first project Jay Odjick worked on with Robert Munsch was "Blackflies." But for Odjick, the path wasn't always visible. "Guys like my father, I don't think they really believed that the jobs in these fields were a possibility," Odjick said. "My dad was like, 'You better learn how to swing a hammer, boy!' and I was like, 'A pencil's lighter, though!'" Now that he has made the pencil work for him, Odjick's next goal is to make his work even more accessible to his community. 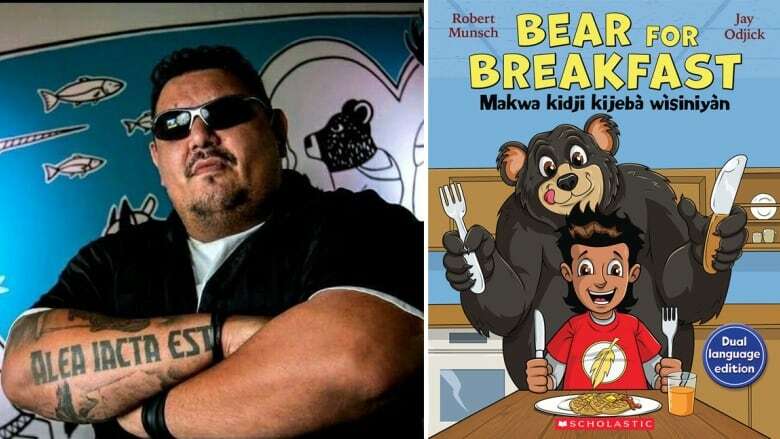 When it's released, Bear for Breakfast will be available in English-Algonquin and French-Algonquin, inspired by Odjick's community. "Day one, at launch, you'll be able to walk into Chapters [or] any bookstore and find a book in an Indigenous language — which for me, I think is just huge," he said. "I could have never before seen that coming." Odjick has been stopped by a few people on the street, where they tell him how much it means to their child that they are represented in the books he's been a part of. It's another one of the reasons Kerner said Scholastic Canada is focusing on producing more Indigenous materials. "It's also important for us, as Scholastic, to be publishing books ... that are about contemporary kids, leading contemporary lives, showing different faces," Kerner said. With those doors open, Odjick is committed to helping other Indigenous creators who are thinking about writing a children's book. "If you're a Native writer who's looking to break into the publishing industry, I urge you to consider submitting something to Scholastic," he said. "There's never been a better time."